Aidan Demarest foraging for sage at Casa del Mar Lobby Bar. Casa Del Mar Lobby Lounge is a gorgeous place to grab a drink. Beach, sunset, Santa Monica Pier Ferris wheel. All the elements with which to impress your friend from out of town or romance your date. But up until the hotel’s new Market Fresh Mixology cocktail program debuted back in July, just like so many hotel cocktail bars (with the exception of all the bars in the Hollywood Roosevelt), Casa Del Mar just wasn’t a destination drink spot. However, this new program changes that. Every Monday through Wednesday from 6 to 11pm in the lobby lounge, guests get to watch the house bartender create a new menu made from farmers market ingredients. It’s a way to bring that whole mixology thing to the masses. Last week, the hotel debuted cocktails dreamt up by local cocktailian Aidan Demarest, Elit Stoli ambassador and Neat bar owner. Every now and then a guest bartender, like Aidan, will be spotlighted. But Aidan admits that creating cocktails isn’t his forte. 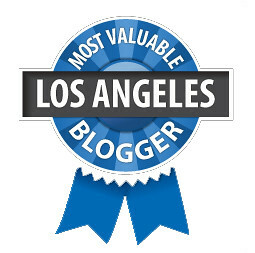 He usually leaves that up to Marcos Tello, his partner at his cocktail consultation firm Tello/Demarest Liquid Assets. But when talking concepts, he’s brilliant. 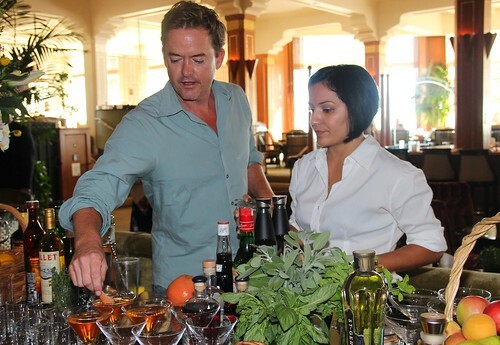 Aidan showing a Casa Del Mar Lobby Lounge bartender how to apply the peel. For his stint at Lobby Lounge he designed a menu that walked the line between something that would appeal to the Iowan housewife AND to a discerning local, and yet wasn’t too advanced. “There’s no point in bringing Varnish cocktails to a bar where they wouldn’t execute it and then everyone hates the drinks and then they walk away,” said Aidan. 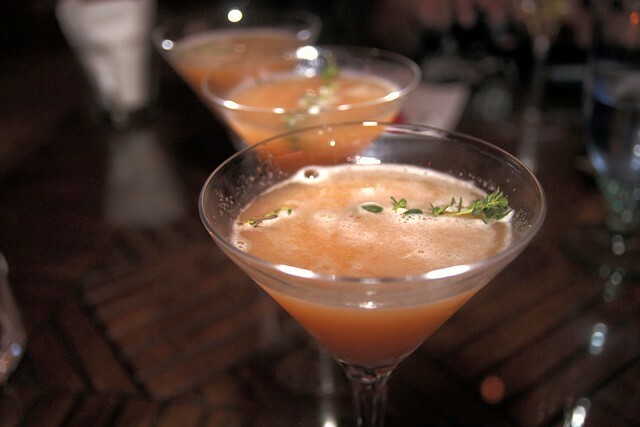 The end result is a straightforward, approachable list which serve as the perfect “gateway drug” for drinkers not familiar with the craft cocktail scene. The classics on the menu are simply Aidan’s favorites and, with the exception of his Mai Tai, what he normally orders at new bars to gauge the bartenders’ skills. The Aidan-inspired menu will be available through October 31. 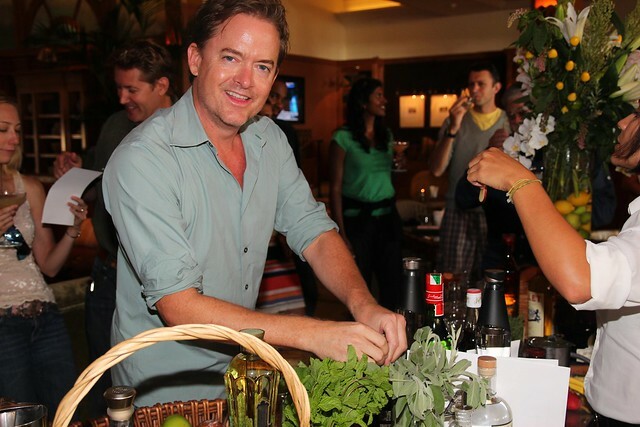 But Market Fresh Mixology menus will normally be updated weekly, depending on what’s new at the Santa Monica Farmers Market, by the house bartenders. In addition to this new menu, the bar’s new mixology tendencies include new barrel-aged cocktails as well as working with fresh juices and ice molds. 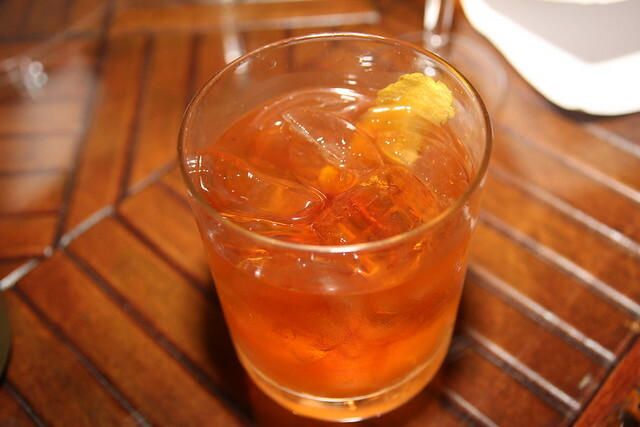 Plaid Mazerati: Nonino Amaro, Glenfiddich, Benedictine, grapefruit peel. Aidan’s “stealth cocktail” since technically it’s not a market fresh drink with the exception of its organic grapefruit peel. This is the one for serious drinkers. A dry, potent cocktail. 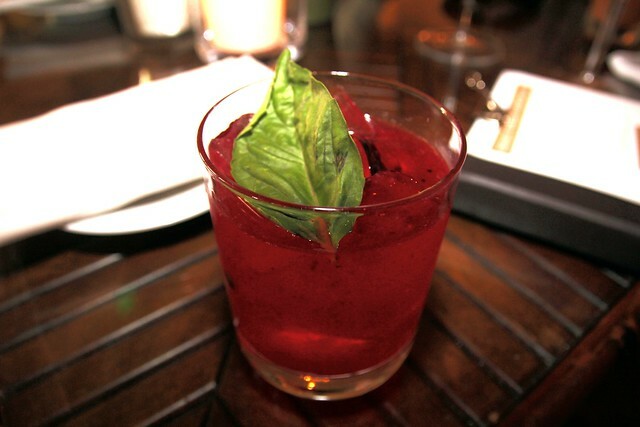 Siberian Summer: Stoli Elit, Solerno, blackberries, lemon juice, simple, lemon basil spring. Something crafty for Cosmo lovers. 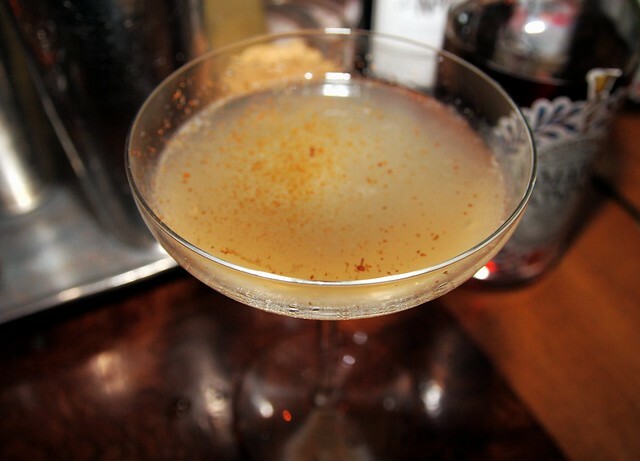 La Pistola: Milagro Reposado, sugar cube, lemon, plum, cinnamon. An Aidan signature cocktail. 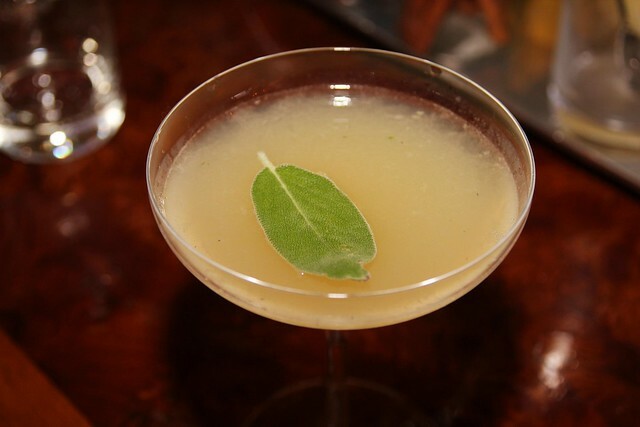 The Perfect Pair: Hendricks, muddled pear, lemon and pear, thyme garnish. 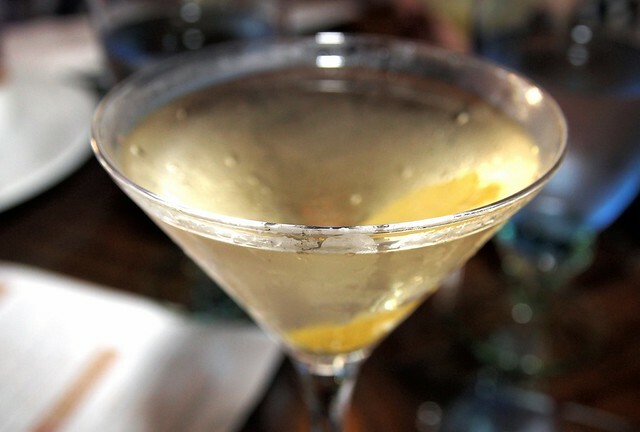 Vesper: Stoli Elit vodka, Hendricks, Lillet, lemon peel. OK, well you can’t go wrong with a Vesper. I find these so refreshing on a hot night. Rye Old Fashioned: Hudson Manhattan rye, Angostura, orange bitters, sugar cube, orange peel. Yes! an Old Fashioned with Hudson rye. A bit too much ice for me but would love to sip on this while listening to the jazz band in the lounge. 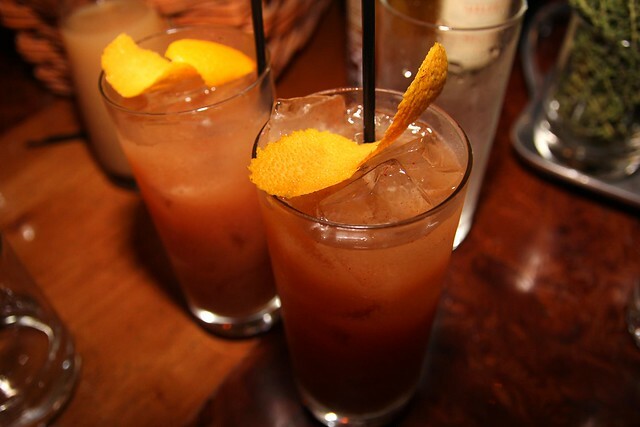 Mai Tai: Meyers dark and Oronoco light rum, St. Vincent orgeat, Solerno, lemon juice, chipotle. Aidan’s award-winning Mai Tai which is unlike any Mai Tai you’ve ever tasted. Savory and spicy.